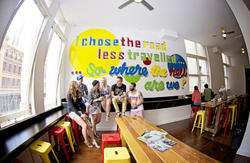 If you want a break from noisy dormitory style hostels, then think Miami Hotel Melbourne. Located just north of Melbourne's CBD, we are within walking distance to Queen Victoria Market, Etihad Stadium, Southern Cross Station, and close by to the tram, cafes, banks, and supermarket - we really do have Melbourne on our doorstep! Our private backpacker rooms hold a maximum of 2 people and contain either 2 single beds or 1 bunk, with linen/towels provided, a wash basin, TV with Foxtel, a mirror, wardrobe and small fridge in the room. 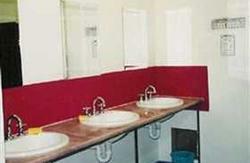 The modern and clean communal bathrooms are located just down the hall from the room. All rooms have reverse cycle Air-Conditioning, and are non-smoking rooms. Need a phone in your room? Leave a deposit/credit card details, and you can be chatting away to friends in the privacy of your room in no time. Our private en-suite rooms hold a maximum of 2 people and contain either 2 single beds or 1 double bed, with linen & towels provided, private bathroom, hairdryer, 26' LCD TV with Foxtel, telephone, small fridge and tea/coffee facilities. 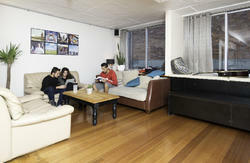 These modern and clean rooms have reverse cycle air-conditioning, and are non-smoking rooms. Our small common kitchen is well equipped for your cooking needs with hotplates, microwaves, fridge, toaster, sandwich maker, tea/coffee making facilities, TV with Foxtel, pots, pans, crockery and cutlery. Other hotel facilities include a 24 hour manned reception, CCTV on all exits, entrances and corridors, TV lounge with DVD player and Foxtel, a tour desk, coin operated Internet Kiosks, (Jimojo) Wireless internet at competitive rates, guest laundry and car parking ($9 per night). 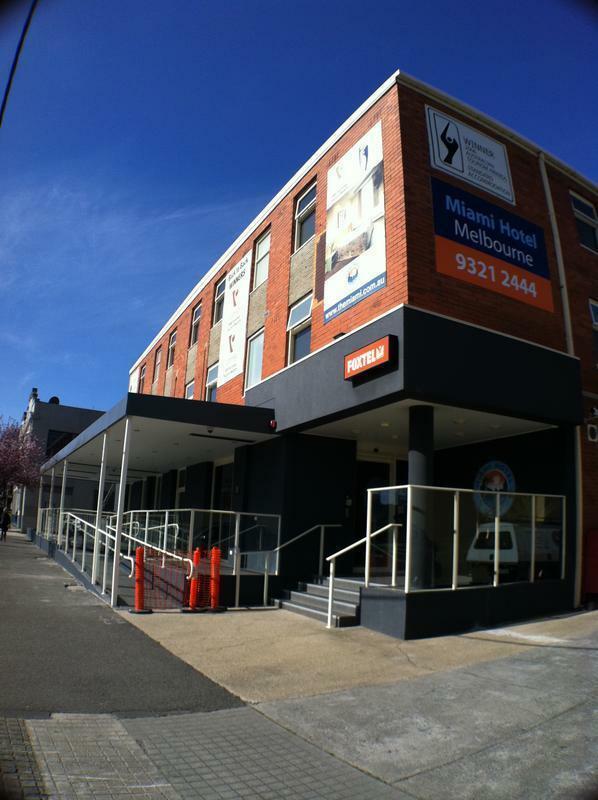 Miami Hotel Melbourne is a well established family owned budget accommodation property catering to a wide range of visitors including local and international students, and travelers from local to far and beyond. The Miami Hotel is located in cosmopolitan West Melbourne. From Melbourne city centre take tram 57 on Elizabeth Street, get off at Stop 11 and walk across King Street, we are the second building on the left (at 13 Hawke Street). From Melbourne Airport 'Skybus' operates a low cost shuttle service to Southern Cross Station in Spencer Street. From the terminal at Southern Cross Station it is either a 15-20 min walk to the Miami Hotel, or ask Skybus about their hotel drop off and pick up service.